My preparation for the Scott 24 Hour has been going reasonably well. I’ve been riding the mountain bike a fair bit, started my race plan, organised my equipment for the race and most importantly; feel ready to ride. There have been a few minor set backs but nothing that will keep me off the bike. I haven’t been as aggressive with my fundraising as I have the past two years either. The kitty sits at $1000 out of my goal to raise $3000. 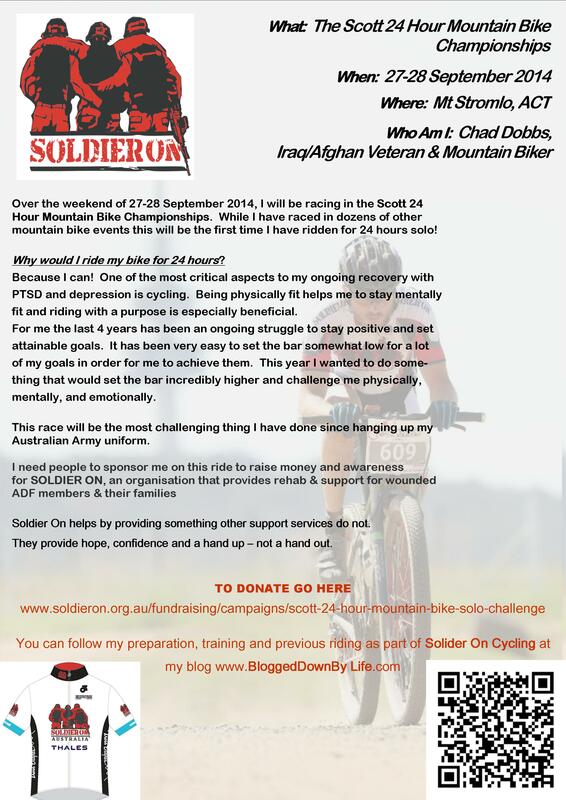 With so much resting on finishing the ride I won’t risk the added pressure of embarking on an intense campaign to raise funds for Soldier On.